Published by Brepols, Turnhout, in 1919. 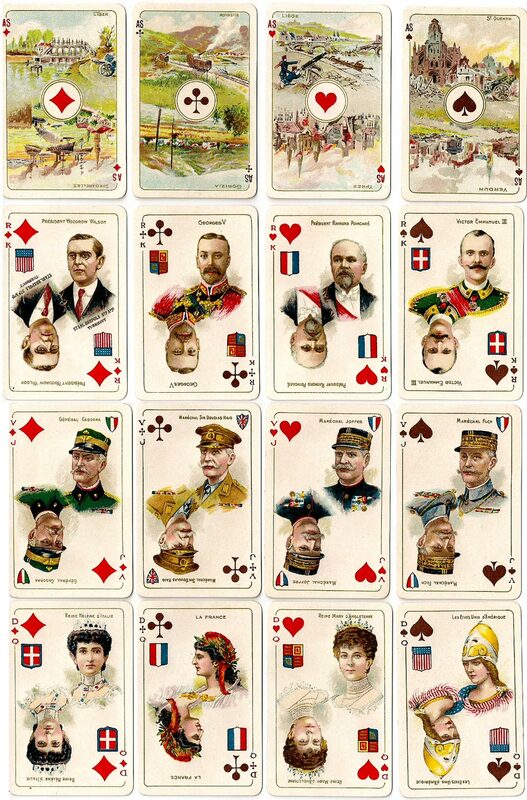 Although work was almost at a standstill throughout World War I because Belgium was cut off from its regular markets, in 1919 Brepols commemorated the victories of World War I with two new packs featuring hand painted portraits of Allied leaders (Kings, Presidents, Generals and Queens) on the court cards, along with relevant coats-of-arms, and famous battle scenes or events on the aces. These were exported around the world as remembrance of the time of sorrow and suffering. 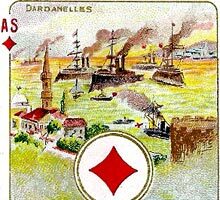 Above: World War I commemorative playing cards published by Brepols, Turnhout, in 1919. 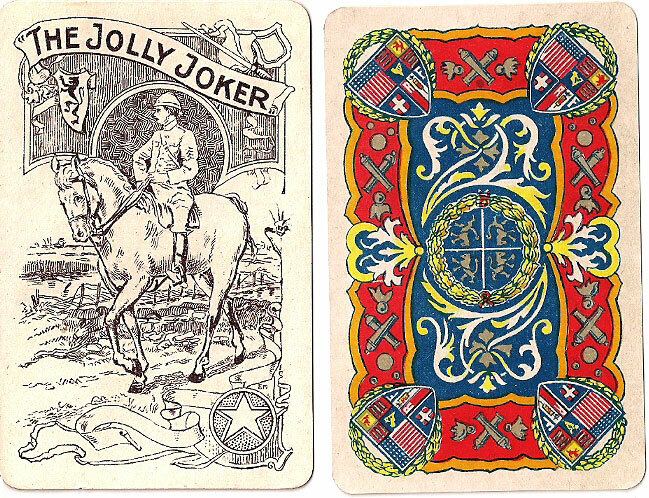 The maker's name is printed on the king of diamonds. There were too many characters for one deck to accommodate so a second deck was produced. 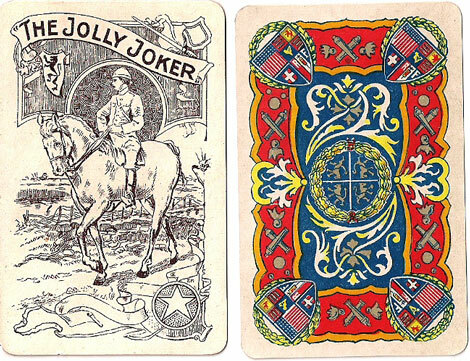 The Joker features King Albert I of Belgium as a mounted cavalry officer; the Calvary was an important factor in WW1. Images courtesy Rod Starling.